It is no surprise that IPL franchises are so keen to lap up all-rounders in the auction and now nearly every side has a player with the ability to win matches with both bat and ball. All-rounders are a rare commodity in international cricket and perhaps the most prized possession for any side. They render the perfect balance to any team, more so in the shortest format where team balance is paramount as even a brief spell of two overs is enough to decide the course of the game. Hence, it is no surprise that IPL franchises are so keen on lapping up all-rounders in the auction and now almost every side has a player with the ability to win matches with both bat and ball. Here we take a look at three such key players who could well be the most valuable player this season. 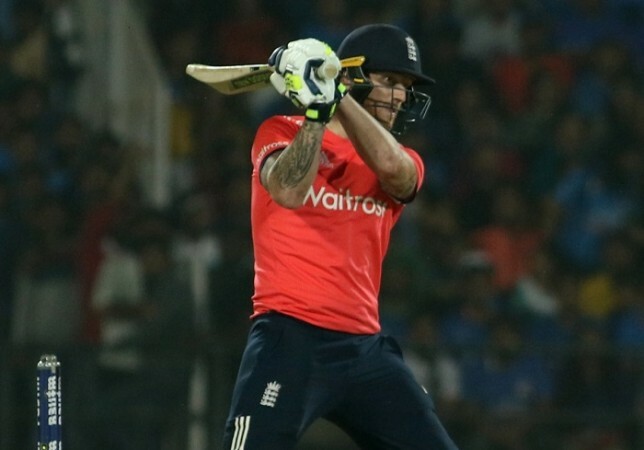 The fiery England all-rounder has already encountered two extreme seasons in his IPL career so far. In his first season with the Rising Pune Supergiant, he emerged as the Most Valuable Player and was a key component in the side's golden run in the tournament. However, in his next season for the Rajasthan Royals, he could not quite live up to his billing. He has the class and temperament to be the match-winner on a more consistent basis and is a man in form. A sure starter in the playing XI, the form of Stokes with both bat and ball could well decide how the Royals will fare this season. The Durham all-rounder has one century and one fifty to his name in the lucrative tournament and has picked 20 wickets at an average of 30.95. Controversies, suspensions, and injuries -- life has been very tough for Hardik Pandya this year. However, he has now regained his fitness and will be a crucial cog in the Mumbai Indians machinery this season. His form will be closely monitored with the World Cup looming large, but for the all-rounder, this season could, in many ways, be about asking the people to focus more on his game. The Baroda player has scored 666 runs at an average of 23.78 and has picked 28 wickets from 50 matches in the IPL. He is a gun fielder and can be the biggest trump card for captain Rohit Sharma this season. Not many people talk about Sunil Narine as an all-rounder, but KKR certainly uses him as one. When he was asked to open the innings, it was deemed as a fluke, but after two seasons, Narine has shown that his presence and rapid starts at the top of the order was no flash in the pan. His presence for even three or four overs in the powerplay sets the tone perfectly for the batsmen to follow. With the ball, he continues to be the match-winner for the side. He has 112 wickets to his name and his four overs more often than not determine the outcome of the match.